The comprehensive set of available functions in CNC-Calc also makes it suitable for handling more complex geometrical drawings. Drawing functions in CNC-Calc include advanced trimming of elements, easy creation of fillets, full support for transformations, many options for snapping to elements, and easy creation of both rectangular and circular bolt hole patterns. 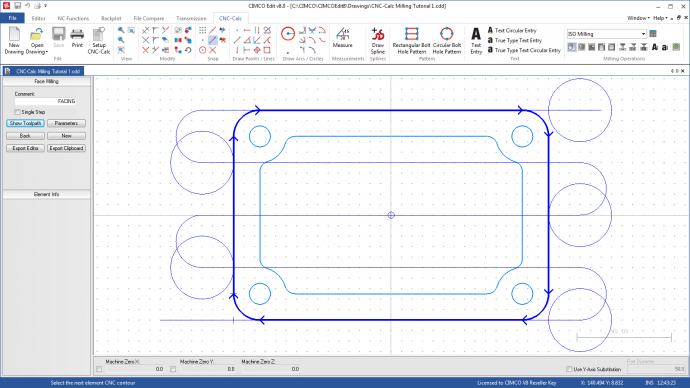 From DXF files generate toolpaths for lathe and mills, such as ISO, Fanuc and Heidenhain controllers.